Samsung is going to continue their tradition of releasing a new Galaxy phone soon. 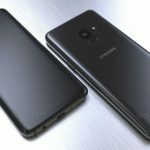 Here are all the current behind-the-scene rumor’s available for the upcoming Samsung Galaxy S9! The Galaxy S8 completely changed the smartphone scene in 2017 with extraordinary screen-to-body ratios and near bezel-less designs. Samsung seems to continue this new design trend with the Galaxy S9. The latest news indicates that the Galaxy S9 will sport a 3,000 mAh battery. Samsung also recently trademarked a new material that is stronger and lighter which is also possibly included in the upcoming flagship device. We also have heard reports of a new OLED on display finger print scanner which would further reduce the size, weight, and thickness of the S9. Based on past patterns for Galaxy S model release timelines we expect for the Galaxy S9 to launch in February 2018. Samsung should be announcing their new flagship at their own event in New York. When the S9 will hit store shelves is unclear but it could be a month or two after the announcement is made. Based on current flagship smartphone pricing’s and the ever-increasing costs for smartphone components within the industry we expect the Galaxy S9 to have a heft price tag of around $799 USD or $999 CAD. It is also possible, however, that the S9 could be as low as $699-$799 USD while in Canada the cost would then translate to around 799 – 899CAD. We won’t see much about this until after the announcement is made by Samsung. President of Samsung Mobile Division, Dj Koh, did confirm in an interview with ZDNet that the Galaxy S9 will be ready for launch at a tradeshow sometime in February. This trade show that occurs at that time is also known as MWC 2018 where Samsung is well known to release their new S series device. Last year Samsung did take a break from MWC spotlights and created it’s own presentation for the Galaxy S8 and S8 Plus but this time around it seems like the company is returning to Barcelona to present their new flagship device. The date we are looking forward to is February 26, 2018. Samsung may possibly go slightly ahead of the program and open up the show on February 25, 2018. Unnamed industry sources have quoted that Samsung has been really trying to improve their already fantastic OLED displays. The form factor will remain largely the same as the S8’s display with that strange 18.5:9 aspect ratio. The physical size will also be the same as the S8, most likely, with a 5.8 inch display panel. There has been other rumors, however, stating that the display will be reduced to a 5.65 inch display instead. One thing is for certain, the display will be curved on the edges while delivering vibrant Super AMOLED visuals and contrast. 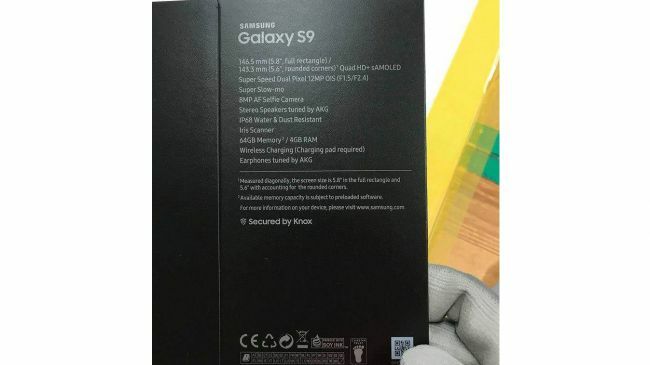 There was an image floating around on the internet that claims to be the Galaxy S9’s retail box which listed the 5.8 inch QHD+ Super AMOLED specification. The biggest and most exciting rumored upgrade is the in-display fingerprint scanner. This would ultimately reduce the thickness of the phone itself. 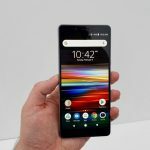 This also would eliminate the need for that awkward fingerprint placement beside the rear camera as you can now simply keep your finger on that “Infinity Display”. The new In-Display fingerprint scanner is most likely powered by the new Qualcomm Fingerprint Sensor which will sit below the display panel itself. This works well with OLED panels which is Samsung’s specialty. Earlier this year during CES 2018 the company called Synaptic’s also presented their own in-screen scanner which the company stated that a Top Five Manufacturer will be utilizing early this year. All of this information points towards the upcoming Samsung Galaxy S9. Of course, there are still claims going around stating that in-screen fingerprint scanners won’t be making an appearance on the Galaxy S9 but rather on the Note 9 that is expected to arrive later this year. Samsung also licensed a new glass coating tech that apparently makes water bounce off your smartphone display. Samsung is planning to include this water-repellent coating on their flagship devices displays. 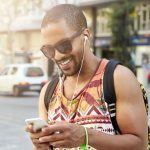 This could be great news for people who find themselves using their phones in wet environments or in rainy situations as water should easily slide off and stay off allowing you to see your content. 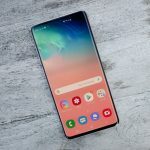 Samsung is working hard to reduce the size and weight of their Galaxy smartphones but at the same time including more and more advanced chips and components. The Galaxy S9 will be receiving the same treatment with reduced screen bezel’s from the already paper thin bezel design we see on the Galaxy S8. We expect to see a Bixby button making a return on the side of the device as well as the 3.5mm headphone jack! Some images seem to indicate that the finger print technology is not yet built into the display of the S9 as we see the Finger print reader module found on the back of the S9, but this time, below the camera. This suggests that the S9 will have a simply re-positioned fingerprint scanner. 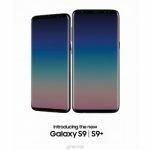 It is expected that the Galaxy S9 will have a 90% screen-to-body ratio as opposed to the 84% ratio found on the Galaxy S8. 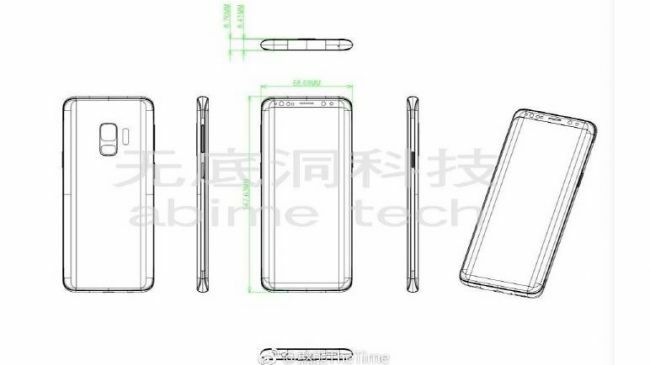 A leaked image showing the dimensions of the S9 seems to support that claim as shown below. Other alternative leaks seem to suggest that the fingerprint scanner is indeed going to be found under the display where the pressure sensitive home button currently is found (near the bottom and center). 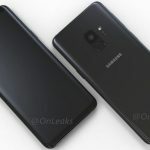 Samsungs own website also showed an image that seems to be the Galaxy S9’s dual camera on the back but without a fingerprint scanner! This highly favor’s the in-display fingerprint possibility. Samsung also recently trademarked a new material called “Metal 12” which is apparently lighter and stronger. However, due to how recent this trademarking is we are unsure if this will be actually used in the Galaxy S9. It may show up in the Note 9 or future devices as Metal 12 will probably require more testing. Other crazy ideas that is going around indicates that the Galaxy S9 will feature a new modular design via magnets on the back that lets you use accessories such as battery packs, cameras, and other creative things. We will take this into consideration with a pinch of salt. 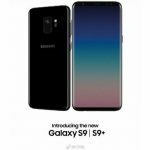 We have also witnessed some new renders of the Galaxy S9 that are more believable than what we have seen thus far. Check them out below. Interestingly, the Galaxy S9 is expected to have a 12 MP Dual Pixel camera with OIS (optical image stabilization). The new rumor that is going around is a Variable Aperture feature with f-stops ranging from f1.5 to f2.4. This would mean that actual moving parts (the iris) would have to be installed for this to happen. f/1.5 apertures lets in the most light as it is “wide opened” while f/2.4 is slower and narrower letting in less light. We are unsure as to why Samsung would include a Variable Aperture Camera inside smartphone optics that are absolutely tiny but we will see. On other news, we are expecting to see Samsung follow through on “super speed” video functions taken by the 8 MP selfie camera as well as super-slow motion functions. This would indicate that the camera’s can now take 120 fps or above. 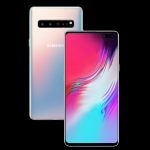 Industry sources have claimed that Samsung has been working on a rear camera that can shoot at 1,000 frames-per-second which is better than any camera on the market at this time. Samsung is apparently upgrading the entire camera system in the Galaxy S9 as well. 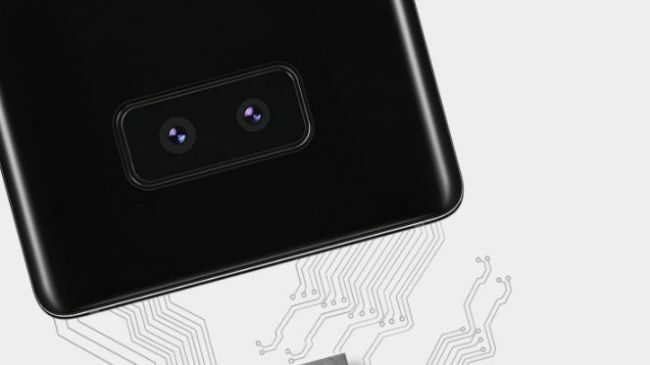 The S9 will have a single lens camera while the S9 Plus will have a Dual Camera set up again. This time, instead of having the camera’s laid out horizontally the camera’s will be vertical indicating AR functionality. Samsung is apparently working on a 3D Facial recognition system in their front camera but we are unsure as to how this will work in light of the more sophisticated Face ID system Apple created. Qualcomm has announced the new Snapdragon 845 processor which will most likely power the U.S. versions of the Galaxy S9. This is an Octa-core processor with 4 cores that run at 2.8 GHz while the other 4 runs at 1.8 GHz. The power improvements is recorded at 30% faster than last year’s Snapdragon 835. In the 845 AI processing and graphics performance is also greatly improved while energy usage is greatly reduced. The new silicons enable’s 4K ultra HD video recording at 60fps. 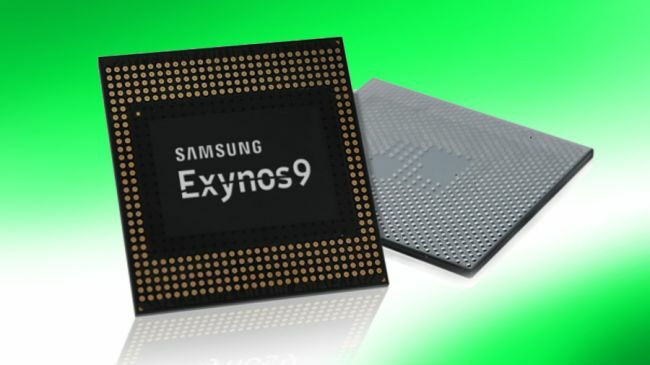 The rest of the world will receive the new Exynos 9810 processor. The processor includes a new LTE Model with theoretical speeds of 1.2 Gbps which is blazingly fast enabling you to download a HD movie in just 10 seconds. The bad news is that various rumors and leaks indicate a 4 GB RAM instead of 6 or 8. A recent benchmark indicated that the Galaxy S9 Plus has a 4 GB RAM instead. It is expected that the S9 and S9 Plus will both be shipped with the latest Android OREO installed. Latest rumors come from a certificate that suggests that the S9 will have a 3,000 mAh battery which is the same size as the Galaxy S8 has. This may disappoint some fans since Samsung is now using a substrate-like PCB tech that enables Exynos chipset devices to use a bigger battery. The new processor should, regardless, increase performance and power efficiency even further than what we have seen today. Fast wireless charging is a given and is expected to show up on the S9 as well. On other news we have heard that Samsung has been working hard to improve their IRIS scanner to combat Apple’s more sophisticated Face ID technology. The IRIS scanner will see a boost in megapixel count from 2 MP up to 3 MP in the S9. The scanner will be better at recognizing your eyes even in poor lighting and even if you are wearing your glasses. According to various rumors this Iris scanner will be a lot faster than what we have seen in the Note8 and S8. Other interesting rumors suggests that the S9 will come with stereo speakers designed by AKG built in. 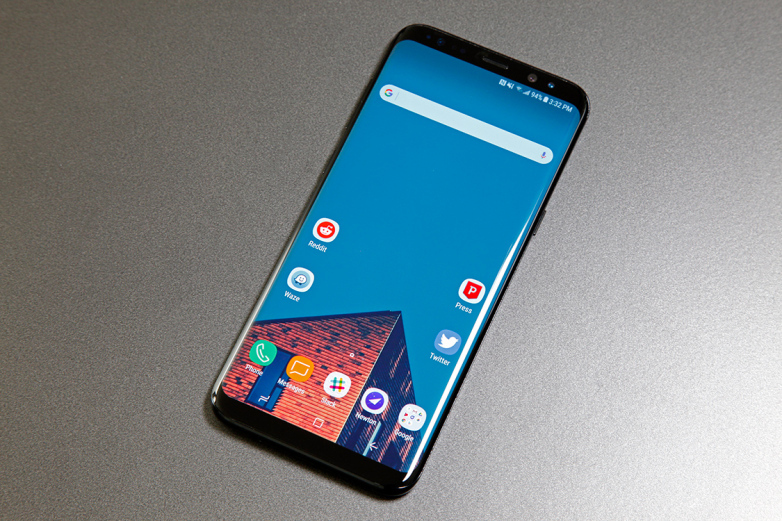 The GALAXY S9 has recently passed through the FCC (Federal Communications Commission) and we have seen that the S9 will support all major LTE radio bands / frequencies. It is also manufactured in Vietnam. The leaked retail box also shows “made in Vietnam” which seems to echo this news as truth. There is also a new Samsung patent for a sensor that is able to analyze and detect atmospheric conditions which will alert the user of the level of pollution there is in the air. A different source also claimed that the Dex docking station will see improvements and a user experience update enabling the dock to act like a charging pad while allowing you to use the phone’s screen which may suggest that you don’t necessarily need a keyboard and mouse at all times.